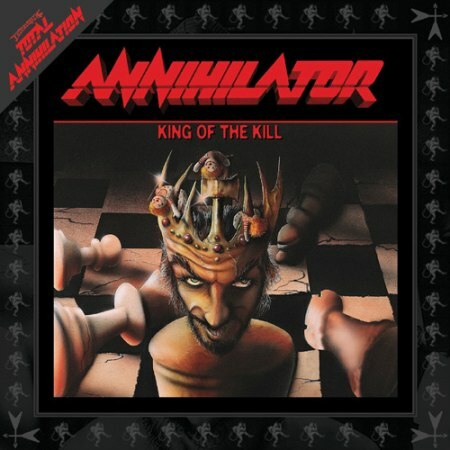 Annihilator quien acaba de reeditar su álbum de 1994, King Of The Kill, incluye en esta renovada versión dos canciones extra y un track hablado por su creador Jeff Waters. De acuerdo a la disquera, Carnival Diablos, Criteria For A Black Widow y Waking The Fury son los primeros lanzamientos de este festejo, así como su más reciente entrega, Annihilator. I was watching Americas Most Terryfying Places last night and saw a peice about these muredrs. I had never heard about this before. The Serial Killer angle is one strong possibility. Also the angry ex-business partner. He might have hired someone but it would seem that the hit would be on the father only. Also this crime feels very personal accounting for the brutality and the covering of the bodies and mirrors. Maybe also staged to look sexual in nature? Could the family have invited the strange minister back to their home after church? Who doesn’t trust a man of God? Maybe they went to bed telling him to let himself out as he had to catch an early train in the morning. Or did someone else they trusted visit the home that evening. Maybe a family member? I believe in those times children had milk and cookies before bed and adults perhaps had tea. The killer could have put something in those drinks to eventually render the family unconscious or sedated before killing them with the axe. Might have been more than one killer. Not many women commit these types of crimes but it does happen. Maybe it was a trusted woman. It was rumored that the husband was having an affair. Could it have been that woman or another woman filled with rage and staging the crime scene to look like it was a man that did it. Very interesting about all the doors being locked. I don’t know if all the windows were locked too. Looking foward to comments. 2. yard work. I will always pick insdie over outside! 3. My ipod. I take pictures on it, play games on it and browse the internet all over the house! Wait, the microwave is pretty awesome, too…. 4. Spelunking. I would sky dive, too, but it wouldn’t be my first choice. 5. No pet. My oldest is allergic. 6. Real books. I want to turn pages! 7. Fall. sunny days, crisp weather and a reason to wear clothes that cover! 8. Game night with snacks! 9. House phone. I have a cell phone, I just never use it (or know where it is)!